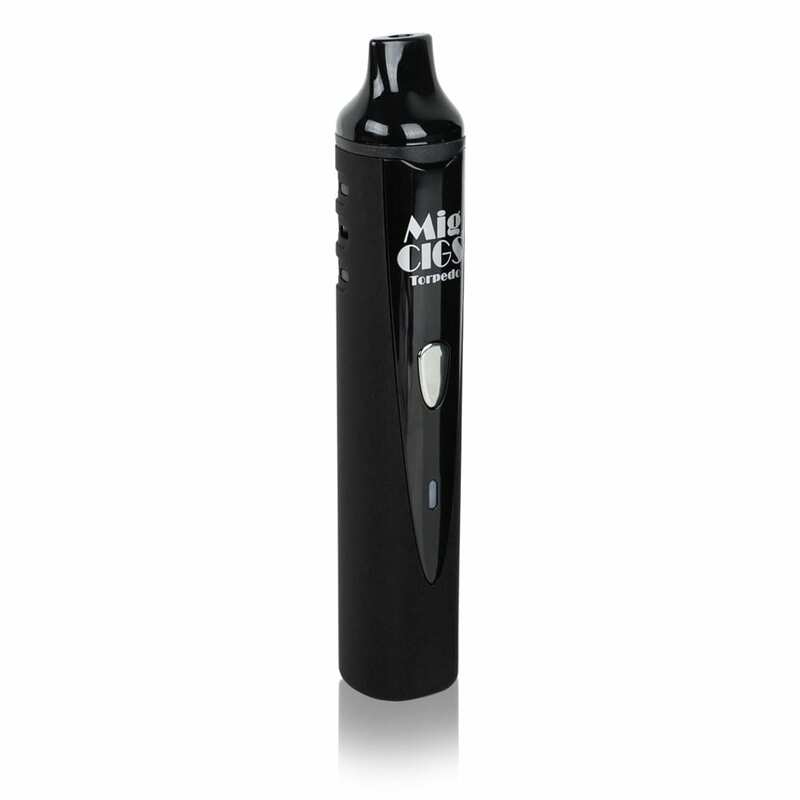 The Torpedo Dry Herb Vaporizer from Mig Vapor is a state-of-the-art creation that’s designed for maximum power and performance. A huge 2200 mAh battery ensures long-lasting vape sessions with no lapse in performance from a dying battery. Although the Torpedo isn’t compatible with e-liquids, the vapor produced from dry herbs is like nothing you’ve ever seen. 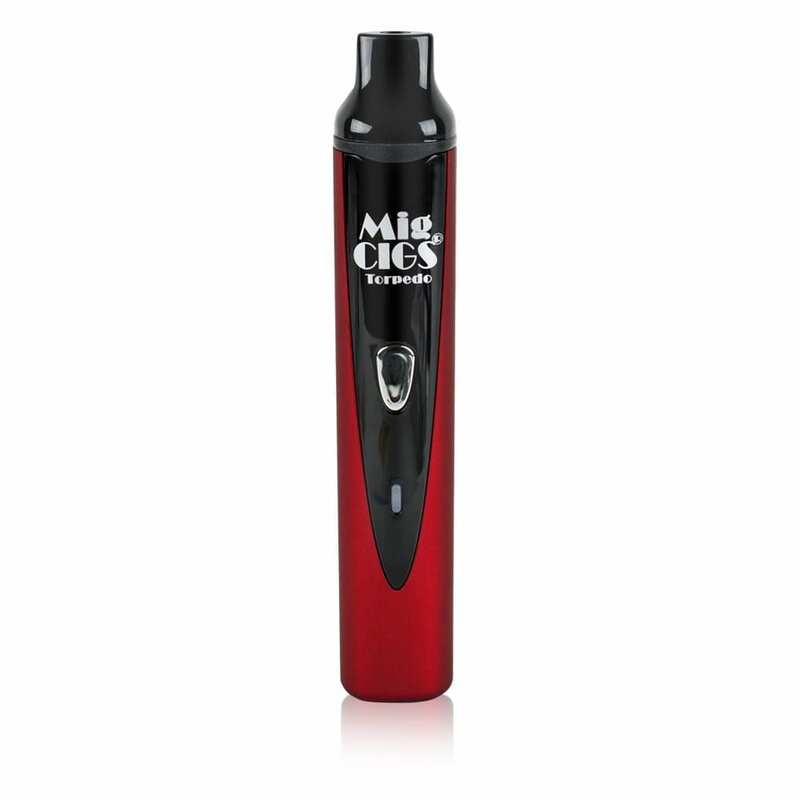 An advanced heating chamber design created by the Mig Vapor engineering team gives an insane capacity of 1.7 mL. Furthermore, the chamber itself is easy to open, fill, and clean. The option for three distinct heating temperatures is integrated with the kit, allowing you to customize your vaping experience depending on the dry herb you are using. The technologically advanced heating chamber in combination with the tweak-able temperature gives maximum customizability in a tiny package. 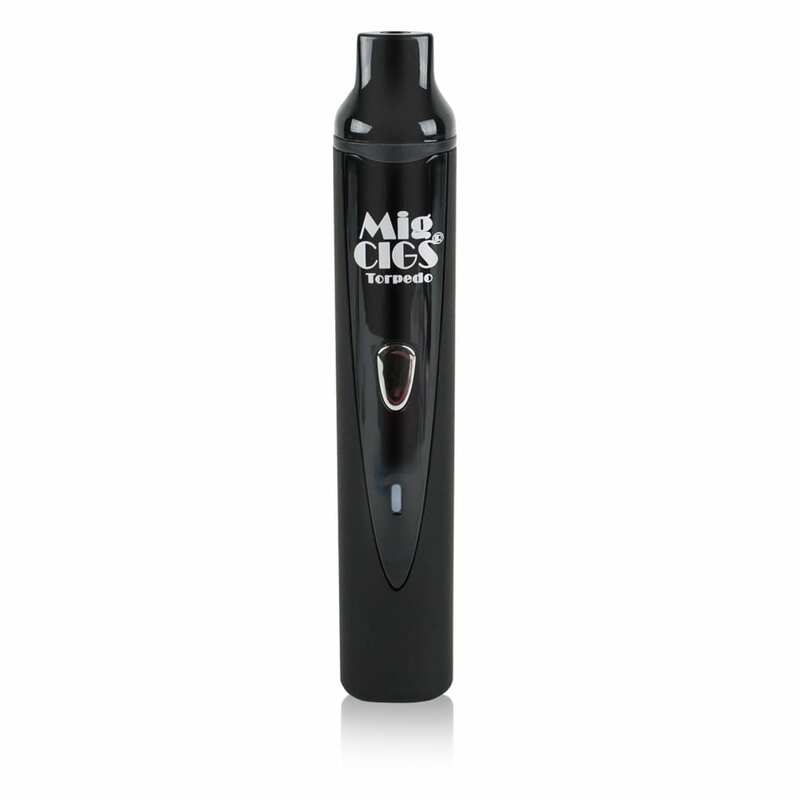 Mig Vapor ensures customer satisfaction by including every necessary piece of equipment in its packages. 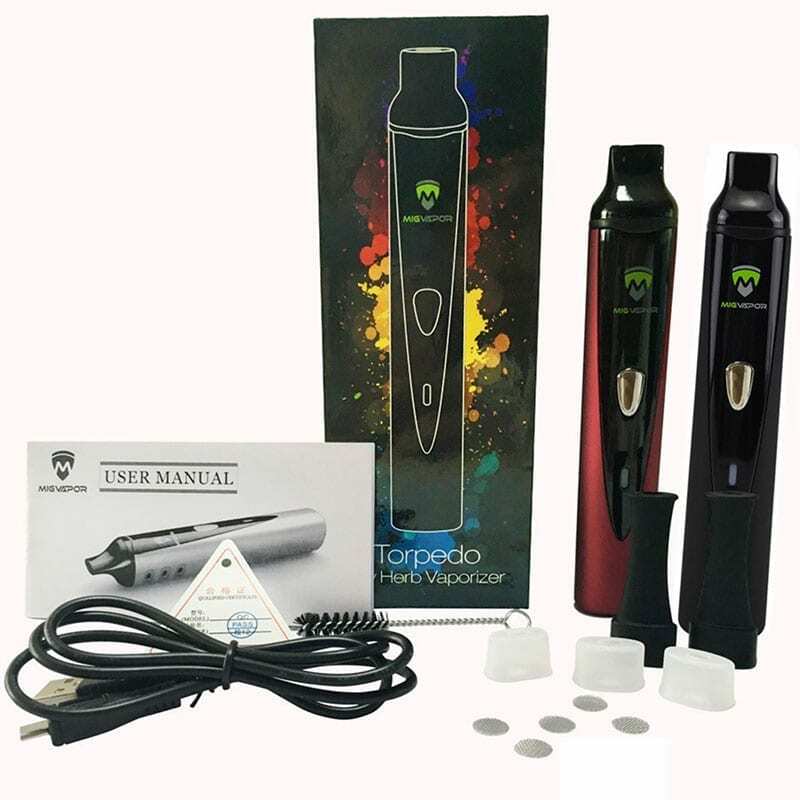 The Torpedo Dry Herb Vaporizer kit includes the previously mentioned 2200 mAh rechargeable battery, with a USB charging cable. A wall charging adapter can be purchased separately if needed. A cleaning brush and extra mesh filters for the tank are included, as the heating chamber is very easy to clean and maintain with both of these products. Three silicone mouthpiece covers are included as well. Seeing as the Torpedo lives up to its namesake as a sleek, long vape, two long black silicone mouthpiece covers are also included. Finally, a user manual is included just in case you are unsure about the many functionalities and uses the Torpedo offers. After placing your order, expect the carefully crafted package to arrive in 5-10 business days (up to 3 weeks for non-contiguous states).